It’s shorter. Shorter to read. Shorter to type. Shorter = easier. Shorter = simple. Simple is better. www is not technically necessary. Www was originally setup for technical reasons and for consistency in URLs. If it’s technically possible to work without the www, why include it? People speak without saying www. Why? Its not natural. It takes longer to say it. The .com (or .extension) at the end of the characters signifies to the reader that it is an Internet address. The context of the message indicates to the reader that it is an Internet address. Phrases such as “please visit” or “for more information visit” signify a location. The address bar in the browsers today is also a search engine entry point. Because of this, many Internet users don’t type a fully qualified URL because its not necessary. It puts the primary focus on your brand because the brand is the first element listed in the address instead of www. In print, marketers are often constrained for space. This could be due to physical limitations or cost implications. Less words helps to ease these issues. Remember when marketers told you to type “http://”? Why don’t they do that anymore? Omitting the www makes your web address feel more human and less techy. In short, for print materials, I recommend to print the web address without http:// and www. Focus on your site and brand. Save the ink, and make better use of white space. People see and know what you written based on context and the ending domain (.edu, .org, .com, etc.) There are some technical items to be aware of with this setup related to search engine rank and domain name resolution. So consult your network administrator and search marketer. Technology and the Internet are changing the way consumers and marketers interact with each other. This is the second of a two part post about how consumers and marketers provide and consume information leading to purchases. The first post focused on the empowered consumer. In this post I’ll discuss the empowered marketer and how marketers can use technology that is readily available to better target and reach consumers. I close with some thoughts about how marketers will reach consumers in the future. In the past, marketers followed the classic steps of segmentation, targeting, and positioning to create and distribute content to an audience. The output was an ad, promotion, informational piece, etc. that was fanned out to audiences as a ‘push’. I use the word ‘push’ because the marketer picked their medium and broadcast the message to anyone who used that medium. The message itself was a one- size-fits-all for that particular customer segment. Access to customer past purchases and profile information. This in itself isn’t new. But today’s marketer is able to see a consolidated view of this data regardless of the channel that the consumer used in the past. The advantage of this is that it gives the marketer a more complete customer profile and the ability to complete an enterprise wide customer segmentation strategy. Access to customer and prospect preferences through analysis of onsite behavior. Customer preferences are not limited to what the customer has purchased in the past. Within the Internet channel, marketers can now track browsing patterns independent of purchases. These preferences can be used to tailor the web browsing experience for both customers and prospects. Notice how top retailers like Amazon use sections like “more items to consider” and “customers who viewed this also viewed”. The items in these areas are based on the behaviors and browsing patterns previously exhibited by the consumer. Access to analytics modeling that predicts future behaviors. This sounds a little like the last point about predicting customer preferences. The difference is that this type of data modeling will look at customer purchases to predict something a customer might do in the future. Here’s a simple example from the banking industry. If a customer does not have any transactions in their checking account in the last four months then this could be an indicator they may close all of their accounts and move them to another institution in the future. Other examples might predict if a customer is likely to accept an offer for opening a home equity line of credit based on the other accounts open and usage patterns. Access to customer reviews. While consumers use customer reviews to help make purchasing decisions, marketers can also use customer reviews to improve and refine their product or service. It’s like an instant survey where the marketer gets feedback to help them with future messages. With all of this information, today’s marketer should be developing one-to-one marketing messages. These are messages that are customized for the particular customer on their web site. Marketers can send messages that talk to a customer for who they are and what they like. What does your personal messaging say? Web sites will follow the example of search engines and use the current location of a visitor to determine what content to show. In addition to using the zip code of the customer profile, Internet marketers will also begin to use the IP address of the visitor to determine their location and the resulting content. One example of how this could be powerful is to tie the recommendation and ad content into the weather forecast for the coming days in that area. Marketers will be developing and expanding messages and content made to fit within mobile devices. As consumers move towards voice operated search and navigation, marketers will respond with content and messaging to display in that environment. Marketers will base content and messaging based on choices the consumer did not make in the past. So instead of focusing on the positive decisions made, marketers will infer consumer preferences on those things they previously offered that the consumer did not choose. I had a thought this week that Internet Marketing and eCommerce Marketing should be two distinct positions in an organization. An Internet Marketer is concerned with how to get more people to the store while the eCommerce Marketer is concerned with how to get more people to buy once they are in the store. But they can’t work independently from each other. The Internet marketer’s tool set includes items such as brand name, product positioning, landing pages, and keywords. The eCommerce marketer must make sure that the store front and store merchandise use the same types of keyword strategies and that customers can both find products and navigate the site without distraction. My boss challenged me to think about this topic in context of the 4Ps of marketing. I think these positions align nicely in that framework. Focus on product value proposition and what customer needs the product solves. Look at how the product/service is promoted on external Internet sites or in print advertisements. Use keyword strategies for search engine optimization. Presentation of product on an eCommerce web site. Product photos, product description, product rules for purchase. Is the product adequately priced for the marketplace? Is price part of the value proposition shown to get potential customers to come to the store front? Where is the product pricing shown on the site? How is the price presented to the customer? Are their additive fees for additional options or does the price quoted contain all parts of the product. Does the price that is quoted match the price that is billed? 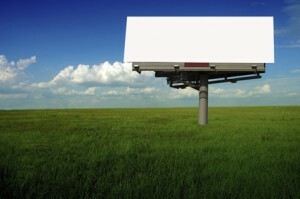 External advertising to generate interest. Promote product through tools such as email, social media, affiliate programs, and general Internet search. How is the product presented in the eCommerce store? Are discounts available? Does it complement other products and services that you can offer the customer? Decide where advertisements are placed. Decide how to use social media to strengthen relationships and show product expertise. Decide strategy on how to channel customers to phone, Internet, or storefront. Make sure store front is easy to navigate. Keep the sales funnel clear an free of errors. Create trust at your storefront by stating return policies and privacy policies. How is your organization splitting these disciplines?